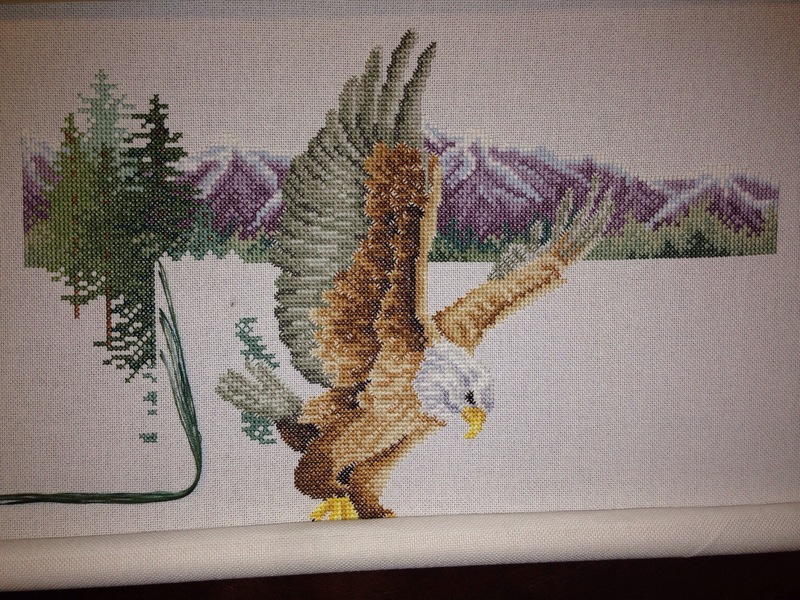 The mountains have been fun to stitch. I don’t like the pine trees quite as much. They seem a little out of place to me. However there needs to be something there to fill in the blank space on that side and I don’t know what would look better. 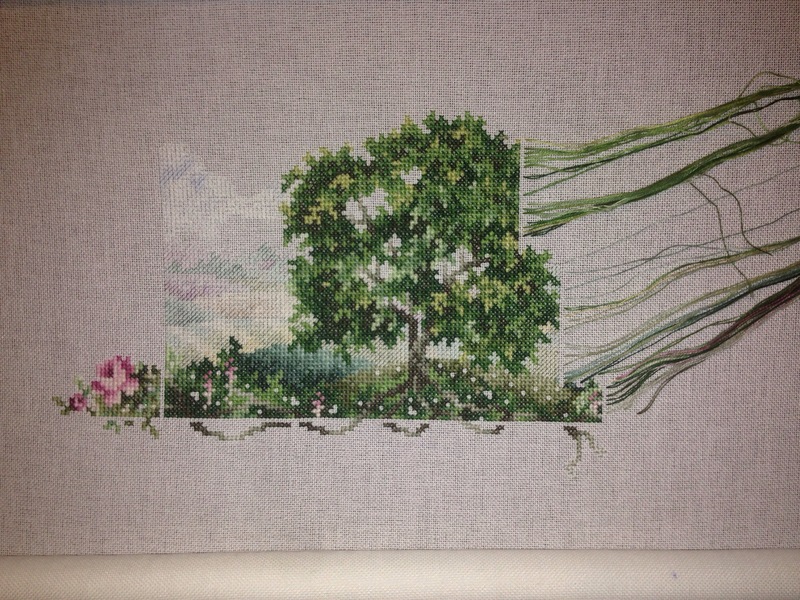 I am excited to finish the trees and startback stitching. I am happy with my progress on this tonight. The tree is close to being given finished and the all that is left in the vignette is the half-stitched hills and clouds in the background.